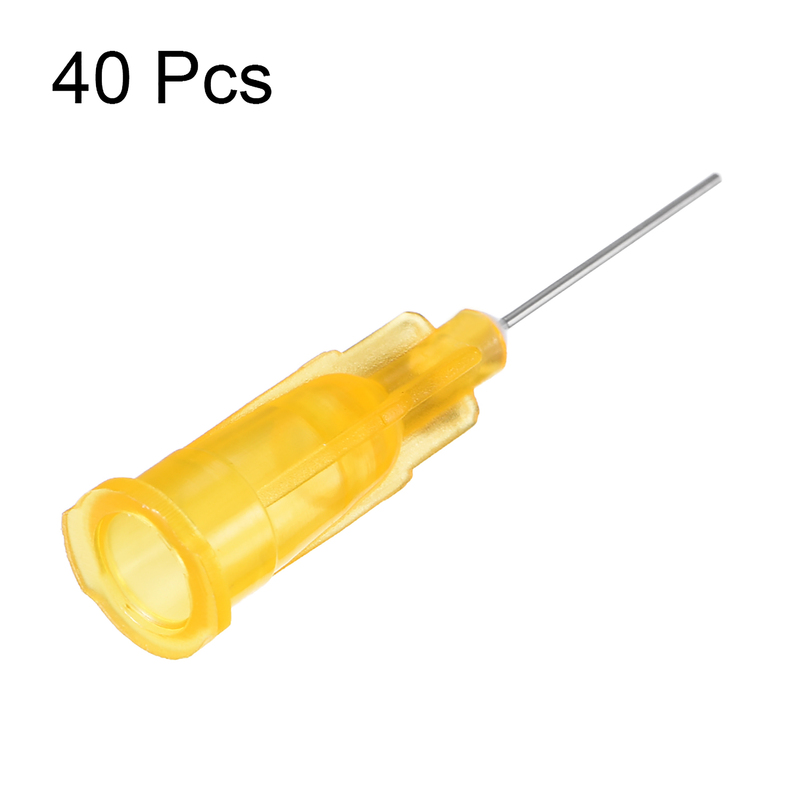 19G 0.47" Blunt Needles, Non-Sterile, Disposable Stainless Steel Dispense Needles. These needles provide a smooth edge to prevent damage and hurt. Excellent for dispensing accurate measurements of fluids including: epoxies, inks, oils, solvents, adhesives, solder paste, vape, or e-cig fluid. The lower the needle gauge, the larger the needle. For very thick fluid applications, use a low gauge needle. NOTE: These are not sharp, are not sterile, and are not for the purpose of hypodermic injection. Length of needle: 12mm / 0.47"
Needle outside diameter: 1.06mm / 0.042"
Needle inner diameter: 0.71mm / 0.028"
Overall Length: 30mm / 1.18"
Overall Diameter: 7.7mm / 0.3"